Perhaps unsurprisingly, since the designer is also one of the Monthly Stitch editors, Muse Patterns is one of the sponsors of Indie Pattern Month this year. 😉 Muse is a reasonably new kid on the pattern block, having launched their first pattern in late August last year. Mel caught up with Kat to get the low-down on Muse and the designs. Hi Kat! First up, tell us all a bit about your designs. How would you describe your style/aesthetic? I want every Muse pattern to be versatile, able to be made up in a variety of ways so that anyone who purchases one can make it multiple times and end up with several garments that look totally different. I try include several different variations in each pattern to make it easy to mix-and-match – different sleeve lengths, skirt and top options, necklines, pockets. How did your come up with the name for your label? It’s a combination of two reasons, actually. The name came to me a few years ago (back when I first considered starting an indie pattern label) after I’d read a book that talked about having a job or hobby that was your “muse” – something that inspires creativity and passion. It seemed rather appropriate for using for a pattern label, since creating designs and figuring out how to turn those into patterns is something that I love doing and that really fires up my creativity! The second reason for the name is where I get inspiration from for designs. Each design is inspired by a women I am proud to know. The designs take shape when I think about their personalities, their styles, how they spend their time. I think about what era’s style best matches them, and all those elements coalesce into a new pattern design! We’d love to know the story behind your label. What inspired you to create and sell patterns? How did it all start? I’ve been designing and creating patterns since I was 18. I did a round of courses on pattern drafting, with a marvelous instructor who had been working in the garment industry for decades and taught a couple of us all sorts of fantastic things. 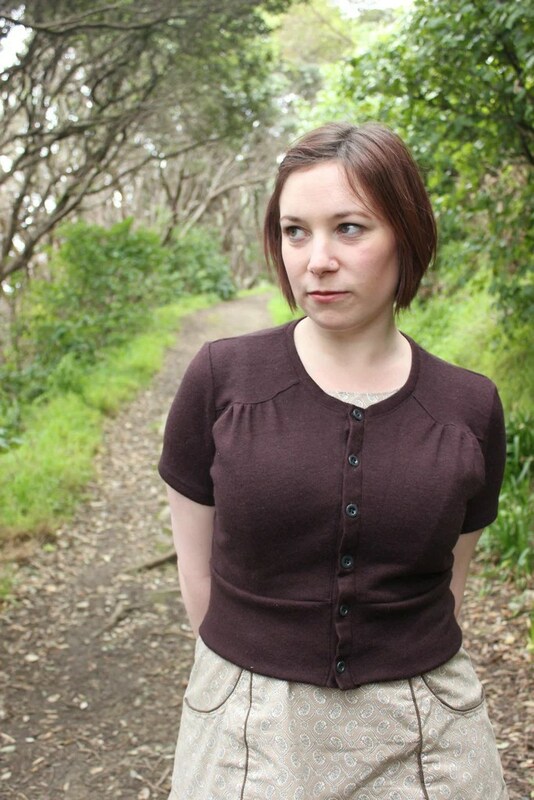 With her encouragement, I started my own little label, making and selling garments using my own patterns in a few little independent designer boutiques around New Zealand, which I did for a few years as a bit of a hobby-business. When I was pregnant with my first child, I got frustrated at the lack of maternity clothes and patterns that I liked. I was talking about it with my partner one day and the idea came to me to create my own range of patterns – after all, if I was having trouble finding things I liked, surely someone else would be too, right? So I decided to launch my ‘Muse patterns’ label while I was on maternity leave. An idea that everyone who already had kids laughed over. And sure enough – I sure didn’t manage to find the time when on maternity leave with my first child to get any patterns created and ready for sale! Fast forward a couple of years, and when I was pregnant with my second child I figured it was now-or-never. I set myself a goal to get my first pattern released before going on maternity leave. I managed to get two patterns released before the little guy arrived, and another one nearly ready to launch. Phew! And looking forwards, where would you like your label to be in five years time? The first thing I’d like to achieve is to produce my designs in paper format. My other job is in the field of customer experience research, and I’d love to create a wonderful end-to-end experience for my customers – including a physical, tangible product. I’d love to be producing 8-10 unique, fun and versatile patterns a year, in both paper and PDF format. I’d love to be providing jobs to a couple of people as well – I think it’s quite hard for a lot of young people to get their foot in the door of the job market, so if I can create a couple of part-time jobs to help people get their first work experience, that would make me happy. What’s your favourite part of releasing a new design? Releasing a new design is such an emotion-fraught process! Excitement when it’s being created, a lot of nail-biting when the pattern is out with my amazing group of testers. Excitement when going through the photos and getting the promo pics sorted. And a heck of a lot of nervousness when I hit ‘publish’! Thinking of your gorgeous designs, what’s your favourite of all your designs so far, and why? If I had to choose it would be either the Jenna cardi or the Melissa dress. The Jenna will always have a special place in my heart – it was the first pattern I launched, and it’s the one I’ve made the most too (I have a large number of Jenna cardis in my wardrobe and that number just keeps growing…!). I also especially love the Melissa – I got to try out and experiment with a bunch of ideas I had, and I’m pretty proud of how it turned out. 🙂 It’s also one of the garments I reach for most often to wear. For my business, there are many sources of inspiration! I love the way that Papercut and Named have taken so much care with their product – the experience of the packaging, the look books, the way everything ties together. I admire well thought-out brand experiences – they make me happy. I admire Sarai at Colette – she was one of the first indie labels, and has built up a good, solid business, while at the same time trying out new things. That ability to change with the times is one that I hope I’ll prove to have. Yay, thanks Kat! I’m really looking forward to seeing the new pattern – exciting! 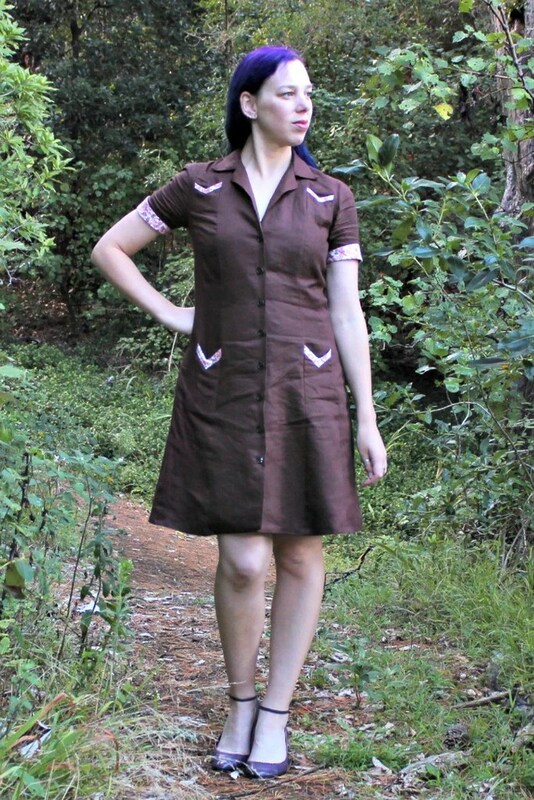 Have you sewn a Muse pattern? What do you think the new design will be? Whoooo knew? I didn’t… seriously did everybody else but me know this??? This is super cool, had I known the lady with the colorful hair was “Muse ” patterns I would have long ago supported the brand. I am definitely going to give your Melissa a shot. Kudos Lady! Can’t wait to see what’s next from Muse! I’ve loved both patterns I’ve tried so far, and the combination of a vintage aesthetic and wearability is perfect for me. I’d also love to see paper patterns in the future! My favorite thing about Muse is the Made by You link! Instead of trawling the Internet, one can see what the pattern looks like made up by a variety of people in many creative ways. And what a gallery of real woman beauty it is, too!